How do you figure freight charges? Can I use third party shipping? A: Shipping charges are determined by the weight and size of your order, with a minimum shipping charge of $12.95. Healthcare professionals, hospitals and clinics may be eligible for a shipping discount. We do not accept third party shipping, as we are dedicated to serving our customers from end to end, and need to be able to track the shipping process should any problems arise. I am a healthcare professional providing therapy service in a home health setting. I recommend products to my patients but do not order products on a regular basis. Can I receive free Functional Solutions™ Catalogs without being charged shipping? A: Yes. You can order Functional Solutions™ Catalog by clicking on the Request a Catalog button at the left side of your screen, or by clicking here. In addition to providing Functional Solutions™ Catalog to healthcare professionals who wish to provide them to their patients free of charge, we also offer Therapy Recommendation Pads. Filling in the product name and part number ensures that your client receives the right product in a timely manner. We ask that those who order products on a regular basis request free Functional Solutions™ Catalogs when placing their orders. When I try to make a purchase, I continue to receive an Error message with no explanation given. Why can’t I finalize my purchase? A: The most common reason for an error to occur is due to the shipping and billing addresses not matching up. For verification purposes, all credit card purchases through our website must use the same shipping and billing addresses. If you have any questions, please call Customer Service at (800) 821-9319 or chat with us directly using Live Chat. Does North Coast sell their customers’ names and addresses to other entities? A: No, North Coast does not sell or provide its customer lists to other entities. If I am not satisfied with my product selection, can I return it for a refund? A:If you are not completely satisfied with a product, simply call or email our customer service department for a credit or refund of the purchase price. You can reach us at 1-800-821-9319 or custserv@ncmedical.com. Returns and Exchanges can be initiated by calling our Customer Service department to arrange a return for credit or refund. Credits / refunds issued will be less any applicable freight charges. Items returned for any reason within 30 days will be credited to your account. All returns must be accompanied by a Return Merchandise Authorization (RMA) number. Returns without a valid RMA number will not be credited. If you have received merchandise in error, North Coast will pay the return shipping expense. Please ship all other returns postage paid. For safety and hygiene reasons, we cannot accept returns on eating, toileting, or mouth stick items for a credit or refund. Hazardous materials cannot be returned for credit or a refund. Therefore, credit will not be issued. I am a customer in the process of changing locations, with an open account at North Coast. How do I go about changing the billing and delivery address for my North Coast product orders? A: In order to change your contact information, billing and delivery address, please call Customer Service at (800) 821-9319. You may also email North Coast Medical at custserv@ncmedical.com. How Do I Establish A New Account? How do I (we) obtain an open account with North Coast Medical? A: Yes. Healthcare professionals, hospitals and other healthcare related institutions and/or clinics may apply for a 30-day open account. A credit application must be filled out, signed and approved before open accounts are established. Click here to download an Open Account Credit Application. If I have questions about your products, can I call North Coast and get answers to my questions? A: Yes. Please call our Customer Service department at (800) 821-9319 with any questions you may have about our products, or sign on to Live Chat and talk to a Customer Service Representative instantly. When can we expect to receive our order from North Coast Medical? A: All orders normally ship within 24 hours. Business days are Monday through Friday, excluding holidays observed by the Post Office, and Fedex. Can I have my orders shipped outside the United States or Canada? A: No. All consumer orders must be shipped to an address within the United States. For international orders, please contact our International Division at international@ncmedical.com. Canadian orders must go through our Canadian Distributors that can be found here. A: Yes. Our new variable data Functional Solutions™ Catalog enables you to brand your organization with a biography, product recommendations and the ability to highlight products appropriate for your clinic/business. Variable data is available on the cover, inside front cover, inside back cover and/or back cover for a nominal fee. Where can I find HCPC codes for reimbursement? A: To find the HCPC code of a particular product online, look under the INFO tab of the page pertaining to your product. Any HCPC Codes left blank or the word “no” after HCPC may not qualify for reimbursement. We are interested in incorporating North Coast products into our clinical practice; will North Coast provide a free sample for evaluation? A: Yes. Your sales representative can provide free samples of most of the products we manufacture and distribute for your evaluation. Does North Coast provide any Insurance Billing Services for products and supplies? A: No. However, many of our retail dealers provide insurance billing services. Additionally, instructions on how individuals can submit to their insurance provider for reimbursement for prescribed products are provided with each Consumer Division order. Where can I find a Material Safety Data Sheet (MSDS)? A: For your convenience, a MSDS sheet can be found in our Library, located on top menu bar. Instructions, Videos and Brochure are also located in the library. How can I (we) obtain free Functional Solutions™ Catalogs to distribute to my (our) patients? A: Free Functional Solutions™ Catalogs can be ordered by clicking on the “Request a Catalog” button on the left side navigation bar, or by clicking here. Can I order a free Functional Solutions™ Catalog for a friend or relative? A: We would be pleased to send our Functional Solutions™ Catalog anywhere in the United States. Please call (800) 821-9319 or enter your order them online by clicking here. I noticed the price in my professional catalog is different than the price for the same item in the Functional Solutions™ Catalog and/or on the website, is this correct? A: Yes. The prices found in the Functional Solutions™ Catalog and website are retail and displayed for customers who are patients or consumers. Healthcare professionals, hospitals and clinics pay professional wholesale prices. Typically our healthcare customers purchase products in larger volumes and have established wholesale accounts with North Coast Medical. Does North Coast manufacture its own products? A: Yes, North Coast manufactures many of its own products under the brand names Norco™, Achieva™, Exacta™, Comfort Cool™, Progress™, Liberty™, and Prelim™. Additionally, North Coast provides wholesale distribution of other brand name products that are manufactured by other companies. I am looking for a product that does not appear in a North Coast Catalog, can North Coast obtain such products on my (our) behalf? A: Yes. North Coast can service your special item requests for literally thousands of products that do not appear in our catalog. North Coast has designated personnel who specialize in product research and can provide you with a price quote and delivery for such products. If I (we) refer my patients to North Coast Medical to purchase products that I recommend, can my patients receive that same professional wholesale price that I would receive? A: No. Patients (consumers, retail customers) will pay the suggested retail price which is typically 30-40% higher than the published professional wholesale price. I am a healthcare professional who often recommends assisted daily living and home therapy products for my clients. If I refer my clients to North Coast for the products I recommend, what can my clients expect? A: Your clients can expect a prompt quotation for products you recommend. As an added convenience, we offer free Therapy Recommendation Pads for therapists to fill in the name of the product and part number to give to patients. This ensures patients have all the required information to order. Every effort is made to get the right product into the right hands at the right time. Does North Coast entertain new requests for International Distributors? Our International Division Manger will reply to your request. Are North Coast products available in retail packaging? A: Yes. Our most popular products are available in packaging appropriate for retail display. If I (we) purchase products wholesale from North Coast Medical and sell products directly to my patients, what price should I charge my patient? A: That decision is entirely up to you, however, we recommend that you charge at least the suggested and protected retail price as published by North Coast Medical. We are a current North Coast retail dealer and we are planning on launching a retail website. Can we download and utilize images to be used on our website or other literature? A: Yes. However, because copyright laws protect all of our images, North Coast requires that permission be granted for the use of our images. Image use requests can be made by calling (800)821-9319. What are the typical discounts offered to dealers? A: The discount prices are offered to qualified dealers and are based on the suggested retail prices published in the Functional Solutions™ Catalog. Discounts range from 30-40% depending on the product and the quantity ordered. We are a durable medical equipment dealer owned by a local hospital, would we qualify for the North Coast Dealer program? A: Absolutely. The North Coast Dealer program was established to encourage the domestic distribution of our products. Durable medical equipment dealers, home medical equipment stores and pharmacies are typical retail dealers for North Coast products. We are a retail dealer and are often are asked to provide insurance billing services for North Coast products that do not appear in the Functional Solutions™ Catalog. 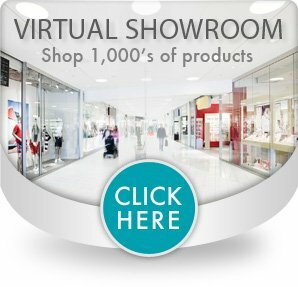 Can we obtain discount pricing on products from other North Coast catalogs? A: Yes. Courtesy discounts are available from both our professional wholesale catalogs to qualified dealers. Discounts increase with annual sales volume. Please contact Customer Service at (800) 821-9319 for details. Is there an opportunity to receive a discount from the professional wholesale price? A: Yes. Healthcare professionals, hospitals and clinics that appoint North Coast Medical as their exclusive, primary or preferred supplier for rehabilitation products are entitled to additional price and service considerations. Contact us if you are interested in having a sales representative call to provide further details. Are North Coast Sales Representatives easy to reach and communicate with? A: Yes, North Coast utilizes a professional inside sales model and our Sales Representatives are exceptionally responsive to your inquiries. All phone inquiries can be directed to (800) 821-9319, or email us at custserv@ncmedical.com. We also utilize Live Chat in the lower right portion of our website, making the North Coast Medical team easily accessible. Do I (we) have a Sales Representative assigned to our account? A: Yes. A North Coast Sales Representative should be assigned to each professional wholesale account. If you are not sure how to contact yours or one has not yet been assigned to you, give us a call at (800) 821-9319 and we can assist you.